There’s just something about old Hollywood that speaks to me, and there’s no style of movie more elemental, more vital, and more impressive than film noir. 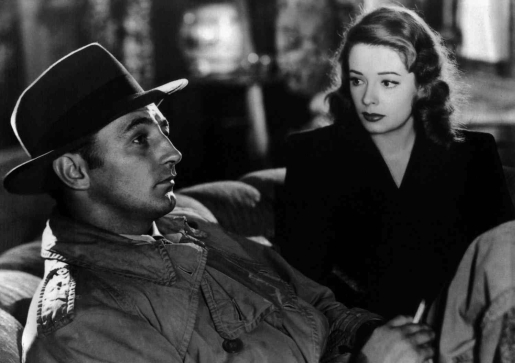 Those old black and white detective mysteries from the 1930’s and 1940’s still captivate audiences, and still influence modern filmmakers, cartoonists, and comic book writers to this day. There’s just something about a man in a fedora and a femme fatale that will just never die. “The Endless Night” proves that, to this very day, there’s no film like an old film. It helps that the mash-up video is a great one, too. There’s a real tension that grows throughout the song, which is also a great fit. Even though I’ve watched this video several times since I stumbled across it, it just continues to get me every time. It’s just so well done. The editing, the scene selection, that transitions… this is just brilliant. Saul Bass would be proud.